Well, here’s a wreath you don’t see everyday! 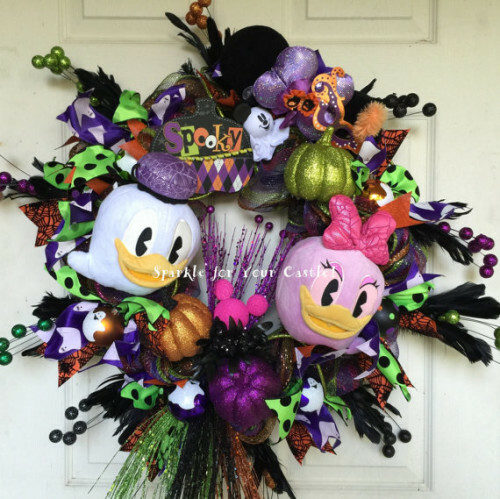 Isn’t this Donald and Daisy Halloween Wreath the cutest? Love the traditional Halloween Colors and props with a splash of Disney thrown right in! Check out our other Disney Halloween Faves right here! And for a list of our Favorite Haunted Mansion stuff, check out our Haunted Mansion Gift Guide!